“I thought we were comfortable in the game in terms of our defensive work being so good. “At the start of the game the initial game plan was to try and have enough speed behind Sam Cosgrove. I do feel when you come here you’ve got to have a way of playing when you win the ball and you’ve got to be able to pass and give them problems. “We didn’t get enough in an attacking sense in the first half so I was a bit frustrated at half time. Defensively I thought we were very sound and I can’t remember too many opportunities for Celtic first half. 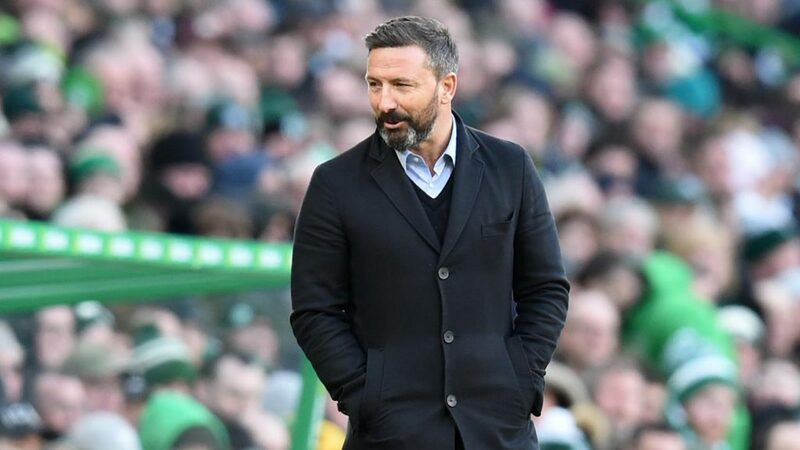 “Second half Edouard gets away from McKenna once in the game and sometimes that’s enough, but Joe Lewis made a fantastic save and other than that I can’t remember Joe having too much to do other than crosses. “We carried on the defensive work from the first half and I was really pleased with the work rate and our diligence when in one on one situations. I thought Max Lowe epitomised that. 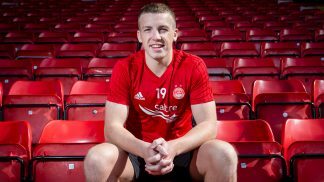 As a young boy of 20 years old he’s up against James Forrest who is arguably one of the best players playing in our country and he dealt with him in the first half. 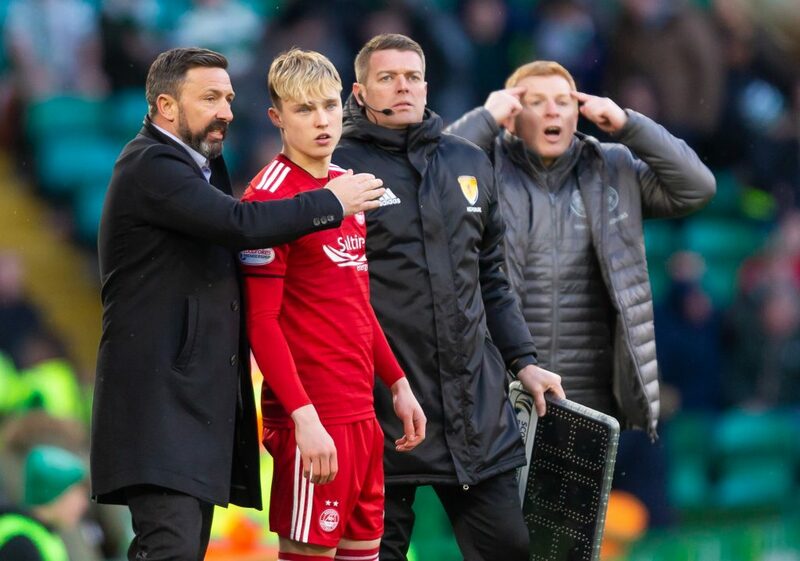 He had to deal with Oliver Burke at the start of the second half and then had to deal with Weah who comes on and he’s fresh and running about at all sorts of speeds. 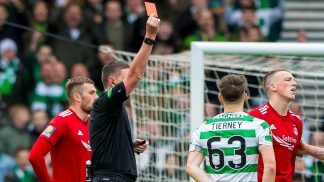 Max dealt with him as well and whatever Celtic threw at us, we dealt with. 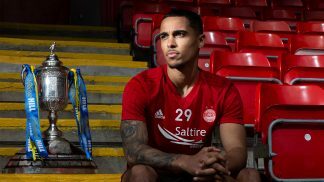 “We did have chances and although Celtic had more of the possession, we wanted to be better in attacking areas and we spoke about that at half time. 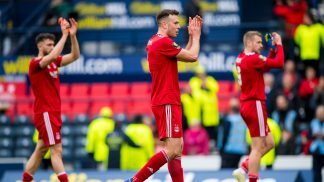 “We needed more from Cosgrove, more from Stewart and more from McLennan, but I thought we gained more control in the midfield with young Dean Campbell coming on as we were able to turn the ball over a bit more. 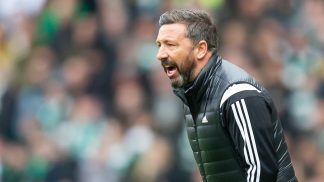 We got ourselves into good positions, forced Bain to work a bit and we made Celtic defend a bit more in the second half. 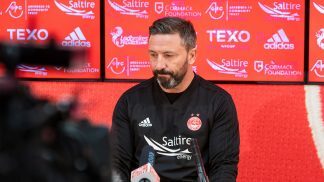 “James is fine and I just felt we needed to get a wee bit more control to the game and Dean Campbell being a natural centre midfield player allowed Ferguson and Shinnie at times to get forward and I do think that helped us. “I’ve just watched Stevie’s late chance back. We tried to isolate Cosgrove at the back post and he managed to get the ball across. Stevie’s movement, he has done brilliantly to get free because he’s came to the near post and got in between, but he’s just not got the timing right and it’s a missed chance. “It’s maybe the moment along with Ferguson’s free kick which looked to be going in from where I was standing. 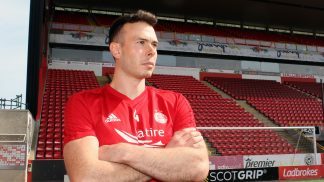 “We’ve got a decision to make with what we do at centre forward as Sam’s suspended, but hopefully McGinn and Mackay-Steven can come into things and give us another couple of options. “We were probably a wide player short today and we wanted them to even make the bench for us. Those two have always been important players for us and hopefully we can get them back for Tuesday. “We were quite relaxed going into the game. 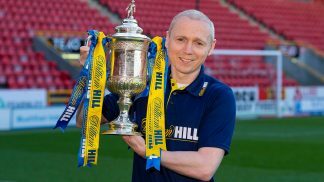 “Everybody’s being saying about these two games in Glasgow and how difficult it would be. The majority (of people) wouldn’t have given us much chance in both games, but we see them as magic games to be involved in and it’s an opportunity. 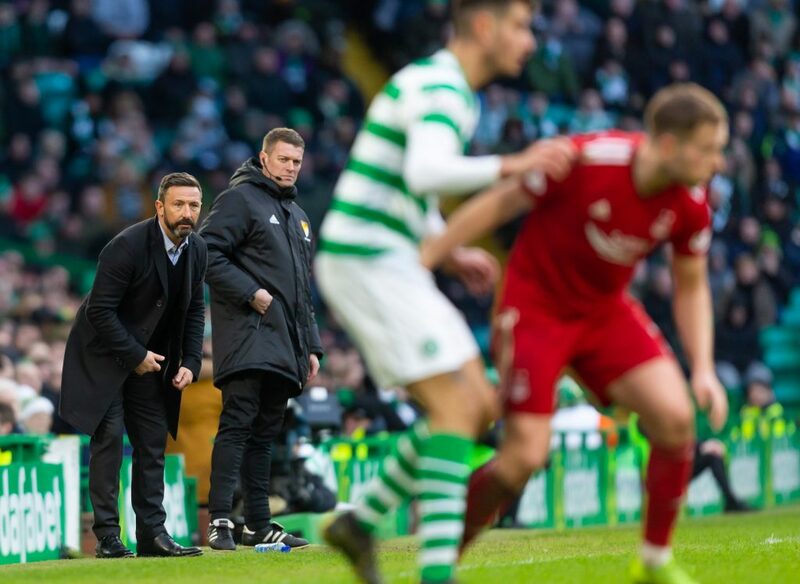 “When you come up against teams like Rangers and Celtic who have far bigger resources and far bigger squads to choose from, sometimes you can be stretched, but you have to remind yourself of what brilliant games they are to bring your team to.